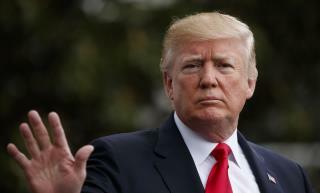 (Newser) – Some Brits may be humming a tune this summer that President Trump isn't too crazy about, the Evening Standard reports. A campaign to make Green Day's song "American Idiot" top the UK charts before Trump's July 13 visit is gaining traction, with its Facebook page surging past 12,000 followers as of this writing. "If we ALL buy enough downloads of Green Day's 'American Idiot' between Friday 6th-Thursday 12th it will time PERFECTLY to hit No.1 the very day he arrives on UK soil!" the organizers posted. "Streaming counts too but less effective. Let's do this!" The old joke is, 'Why do hummingbirds hum? The reason Brit's are humming is because with teeth like those no one want a British BJ. You know you're doing a good job when the UK scum hates you.